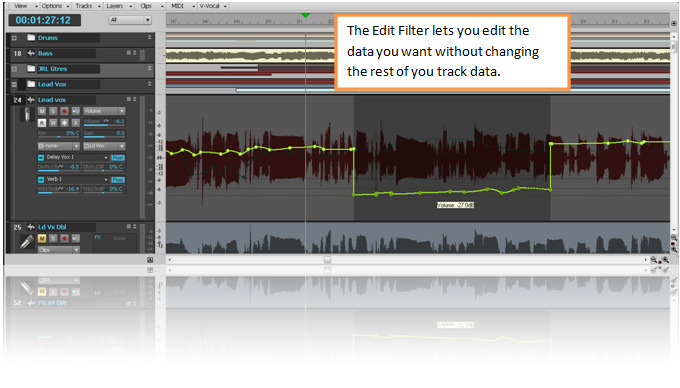 The Edit Filter allows you to work with the data you want and none of the data that you don’t. 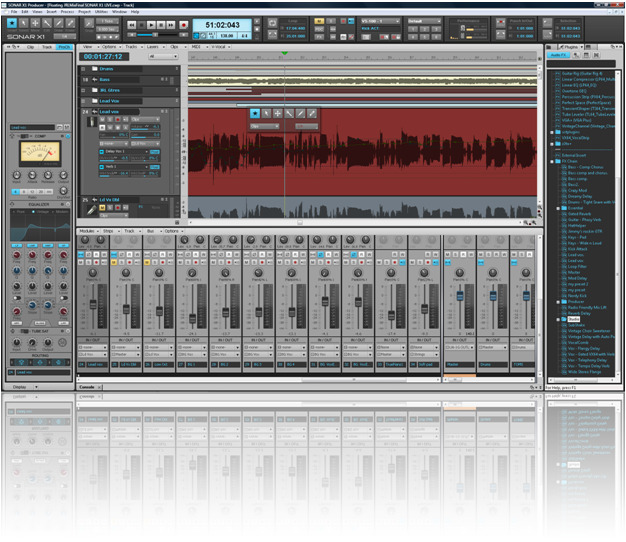 For example, you might have multiple automation envelopes on a track. You can use the edit filter to select which of the automation envelopes you would like to edit. In this example we will choose volume. The rest of the track data including the audio data is left unaffected. 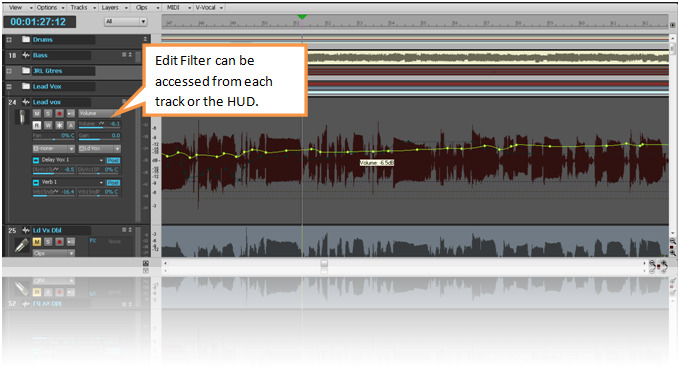 You can only edit the volume envelopes. Here’s a power user shortcut: Hold down the shift key while you click on a data type (automation envelope, clip data etc) and you will automatically switch to editing that data type.